About a year and a half ago, Andrew and I remodel our kitchen. We've been adding the finishing touches and they have turned out successful. When we started this project, we set out to make a home that we could fill our friends in and feed them! But for the last few months I noticed how stained our porcelain sink was starting to look. Coffee stains and good old wear and tear was starting to get the best of it. I was seriously racking my brain to find something to clean it. I scrubbed with hot water, looked for a variety of sponges or products, but finally just purchased Viva® Vantage® towels and Clorox® Cleanup Cleaner + Bleach and I literally watched all of the stains disappear! 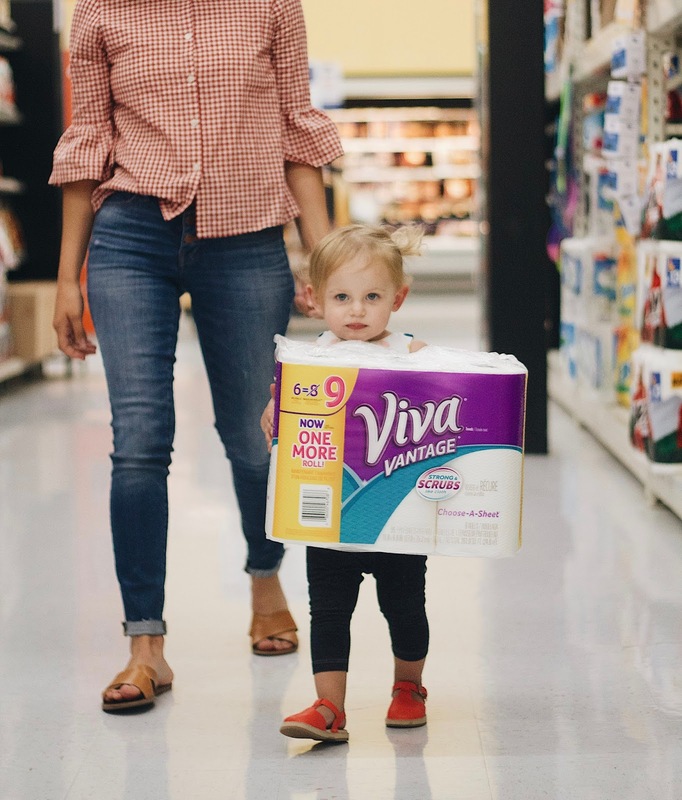 Viva® Vantage® have 40% more per roll, compared to Viva® Regular Roll. And Clorox has 99.9% germ killing strength; It’s specially designed to clean and disinfect a variety of stains on a variety of surfaces. The best feature is the Smart Tube Technology® that helps you can spray every last drop. I'm still not really sure what took me so long to just go to my local Walmart and pick this stuff up. It's not rocket science! The solution can really be that simple. Need to pick up your own? Visit your local Walmart and pick up your own Clean Squad of Viva® Vantage® Paper Towels and Clorox® Cleanup Cleaner + Bleach cleaning spray!